Three long-awaited school projects in Letterkenny are to begin construction in the New Year, Donegaldaily.com has learned. Gaelscoil Adhmanain in Glencar will begin while work on the Irish-speaking secondary school Colaiste Ailigh will start at its location in Carnamuggagh. It has also been confirmed that work on the extension to St.Patrick’s National School in Lurgybrack, on the outskirts of Letterkenny, will also begin in the New Year. 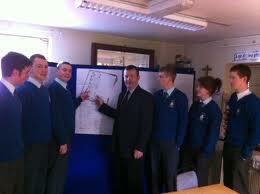 The news of a definite construction start date for all three projects has been welcomed by Deputy Joe McHugh. Deputy McHugh said he hoped the work was just the beginning of many such projects across Co Donegal. “These new state-of-the-art school buildings will facilitate the delivery of first-class education to many pupils in the local area in the years ahead. “I met with Minister for Education Ruairi Quinn TD in Government Buildings last week, and was given an assurance by him that this Government will work to secure the futures of smaller schools including two-teacher schools in rural communities. “High-quality education is critically important for our country’s future and for Donegal’s future. These new school buildings will be very valuable resources for our communities when construction work is completed. “The new Coláiste Ailigh post-primary school will be built through public-private partnership, one of only 10 such projects in Ireland,” he said.